1. When you are done with entering the data of your customer while making ticket the following screen pop ups. 2. You can select the option of Intake Signature to take signature from your customer. 3. 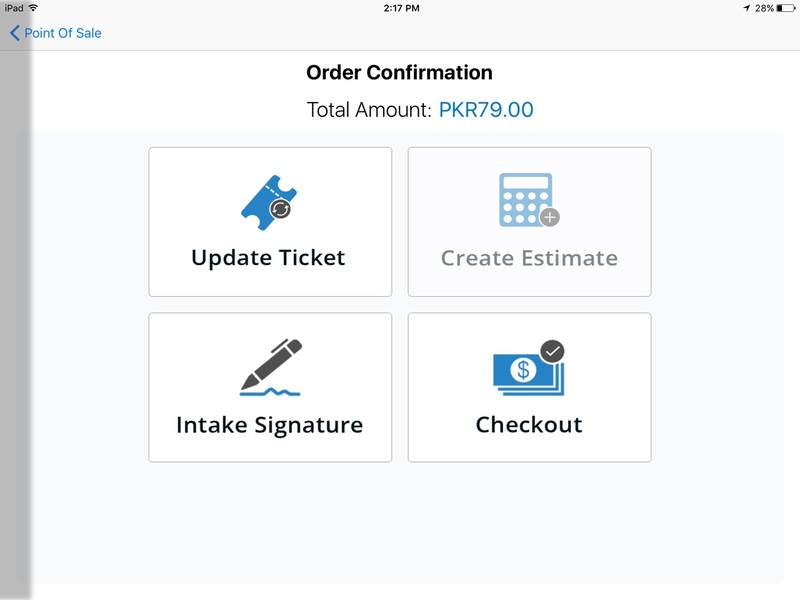 On tapping the option following screen will appear where you can take signature from your customer. Ask the customer to view terms & conditions. In case of removing the signature and taking it again tap on CLEAR. 4. Clicking on save will save the signatures of your customer with the ticket. 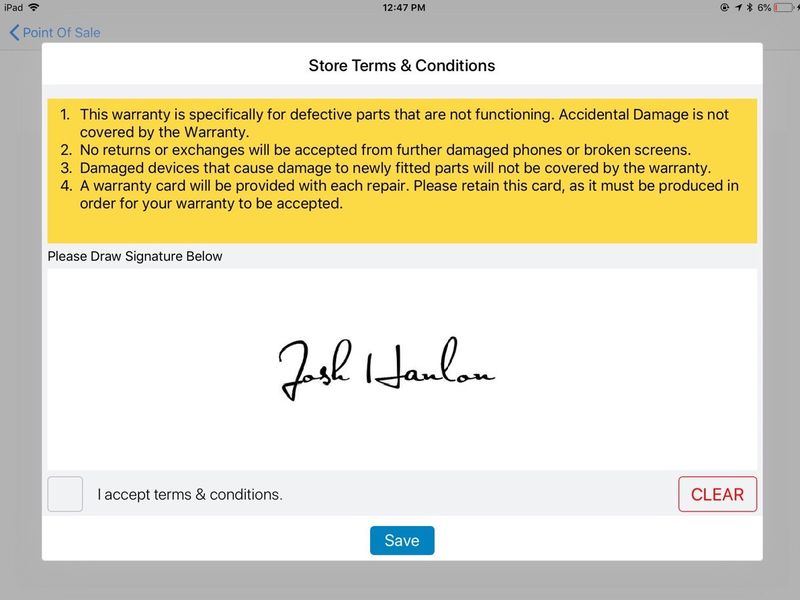 Note: RepairDesk's iPad App supports only one customer signature at the moment. So if you took signatures while creating a ticket and then took signatures from customer after the repair job is complete, the later will override the former. It is important to check the box against "I accept terms & conditions" before hitting the Save button to save signatures.